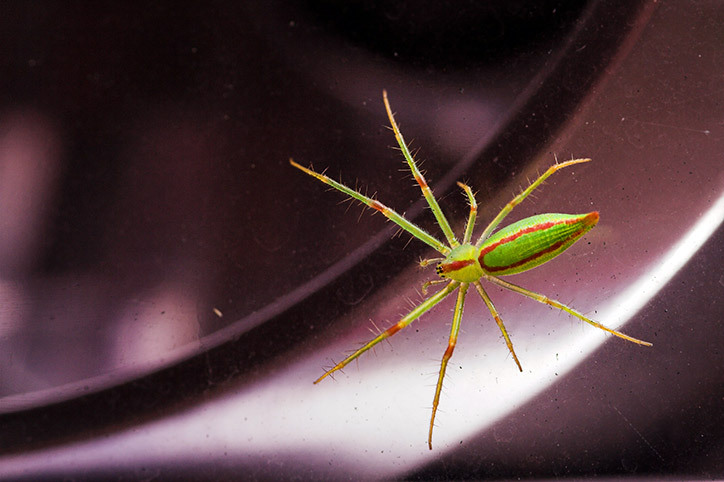 Found this tiny spider crawling around the rear lights of my sister's car. Thinking this would make a good photo, I tagged the spider till I got a good picture of it on the light, before letting it run away. The spider was only the size of my fingernail so it was quite hard to take it.